Albert Einstein is often attributed to the quote, “The secret to creativity is knowing how to hide your sources.” In that case, The Atlantis Stone, is not creative, as all its sources are plainly on display, jumping from imitations of Dan Brown to imitations of National Treasure, and everything in-between. I wouldn’t mind the obvious homage to better stories if the plot was any good. 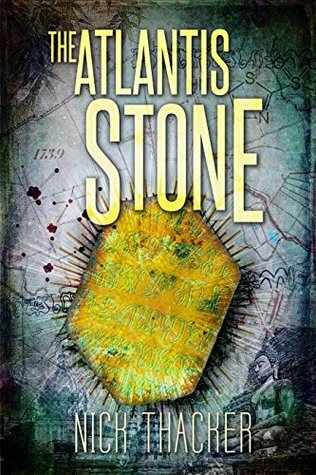 The Atlantis Stone is not a good story, though. The main reason for this seems to be the characters themselves, but there’s plenty of plot holes to blame as well. Let’s start with the characters: there are too many of them, and many are entirely unnecessary. The token female in the entire group seems tagged on for the mere ability to provide a few moments of exposition, as well as give the lecherous males something to long for. Her uncle is completely unnecessary, as his research doesn’t require him to actually be at these famous monuments to explain how the Golden Ratio is a thing. There were plenty of other characters who I knew only by name tags but honestly couldn’t remember who they were or why I should care. As for the plot, it’s pretty obvious early on where it’s going, even if none of the specifics are known. What I don’t get is how these people traveled all over the world and weren’t just knock-out tired from the sudden jet lag. Furthermore, there’s this “timer” that’s counting down to an apocalypse event, but why is it centered on that time zone, and not the time zone of any of the other significant ancient sites? Not that any of it matters, because there’s so much disorienting action that there isn’t any time for character or plot development. An uninspired mish-mash of more successful ideas, I give The Atlantis Stone 1.5 stars out of 5.